2016 may be the year where men finally realize that skincare and hair products are a worthwhile investment. As reported by The Independent, many popular men&apos;s retailers have reported immense growth in sales in this area, with MR PORTER claiming a 300 percent growth in sales of these products in 2015 alone. Now, the men&apos;s grooming industry is expanding all across the globe, and is estimated to bring in $21 billion in revenue in 2016. Elodie Bohuon, Selfridge&apos;s beauty buyer, says that "men are starting to get more and more knowledgeable about beauty and are paying attention to their looks: haircare is the biggest category, with shaving coming second." With men&apos;s hair trends constantly evolving from season to season, men are now actively looking for products that will serve their own specific purposes, whether its a clay pomade meant to keep a neatly trimmed quiff in place with a matte finish, or a hard water pomade for a light hold and a sleek shine. But hair and skin products are not the only areas where sales are increasing. There was also a surge in men heading to salons for various grooming services. 25 percent of salon customers in 2015 were men, according to a survey by professional beauty and hairdressing supplier Salon Services. 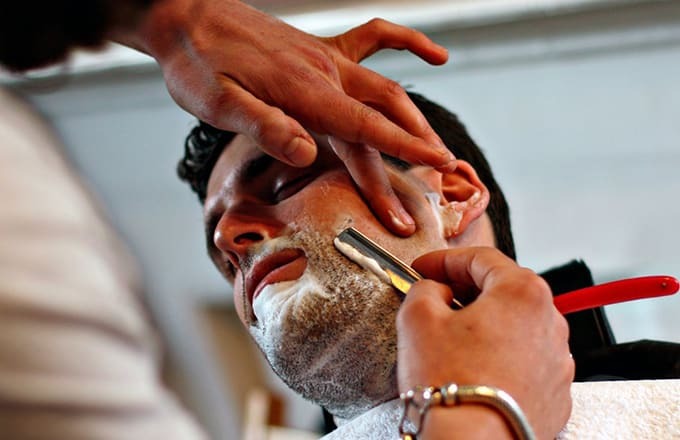 Deborah Gayle, manager of the popular men&apos;s salon The Refinery in the Mayfair area of London, says that hairdressing and shaving remain the most popular services offered. However, she also notes that "massages, facials, and further maintenance treatments are extremely popular, such as hair removal, via waxing or laser." All of this is indicative of a paradigm shift of sorts in men&apos;s overall perception of grooming and self-care. While many may still seem tasks like shaving and getting a haircut regularly as mundane and a chore, there is a growing sect of people who not only take pride in maintaining their appearance, but also enjoy these tasks as pleasurable leisurely activities they are more than willing to spend money on.